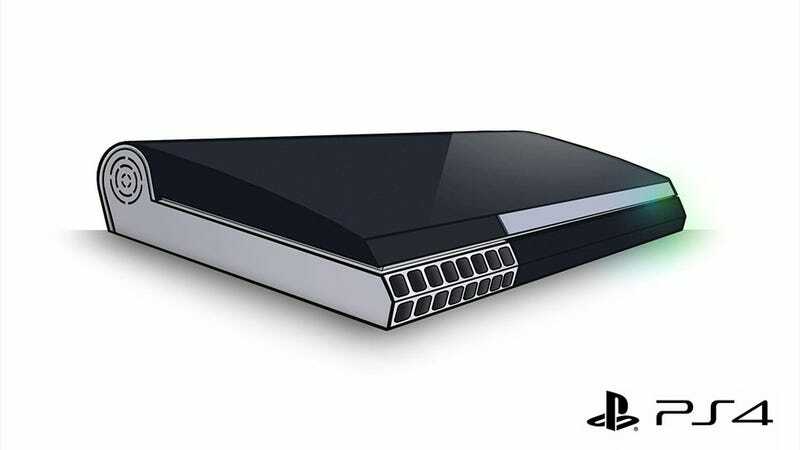 Trying to steal a little of Microsoft's thunder ahead of the next Xbox's reveal -and to remind us the PS4 is more than just a control pad - Sony teased the design of the PlayStation 4 with a number of small abstract images. They're meant to suggest, not give away the machine's entire design, but Redditor Albino-Zebra figures there's enough there to go on anyway, doing their best to put the pieces together and take a swing at the machine's appearance. Is it accurate? Who knows! Nobody outside Sony does, at least not now. But hey, points for trying. And maybe, just maybe, they actually got it right. If you want to see the images Sony released this morning, you can check them out here.